Wonderful Machine put together a short interview with me on my work as a wildland firefighter. I’ve embedded the interview here. 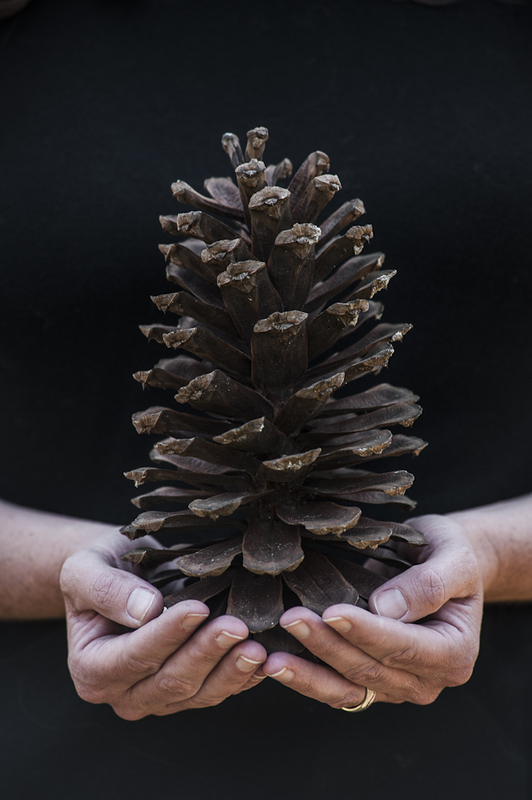 Carbondale, Colorado-based Photographer Blake Gordon has always been interested in the intersection of culture and nature, but his interest was piqued after working with the Nature Conservancy. 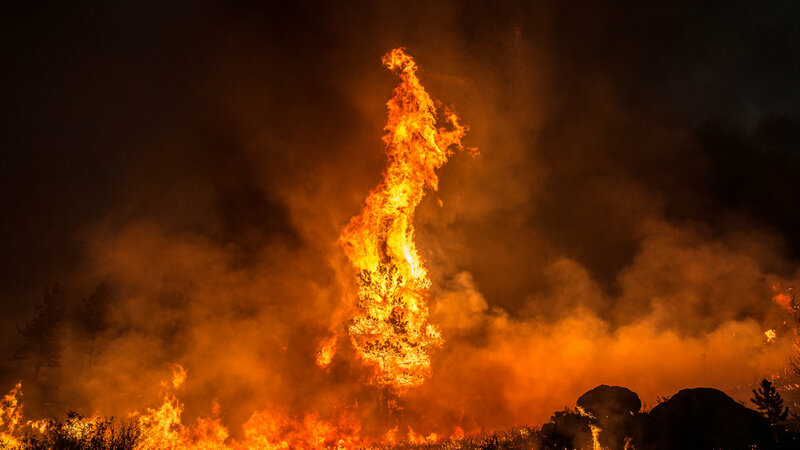 Since becoming a firefighter, Blake has captured unique photographs that not many others would have been able to because of his proximity to the flames and experience in extreme environments. A pine tree torches during the Britannia Mountain fire in Wyoming on September 2nd, 2018. How did you prepare technically to shoot the fire? I’ve shot a lot in extreme environments, particularly while ski mountaineering, and there are many compromises to make. Anticipating a moment and knowing when and how you can shoot is paramount. There is a dance with documentary work and you’re not often in the director role. You want a setup that gives you enough tools to make the images you want to but also is as simple, manageable, and robust as possible. If you let the camera manage you it can quickly become a safety issue. Situational awareness is the highest priority in the fire environment and that’s one reason why I enjoy it. 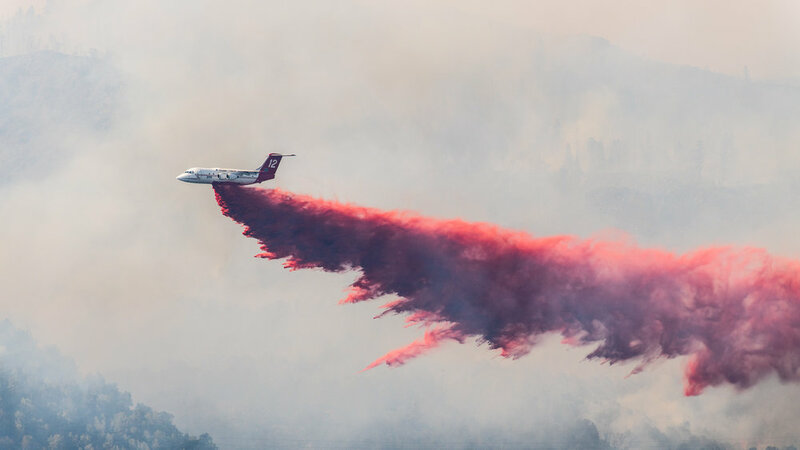 An air tanker drops a load of slurry at the edge of Basalt, CO on the Lake Christine fire on July 4th, 2018. 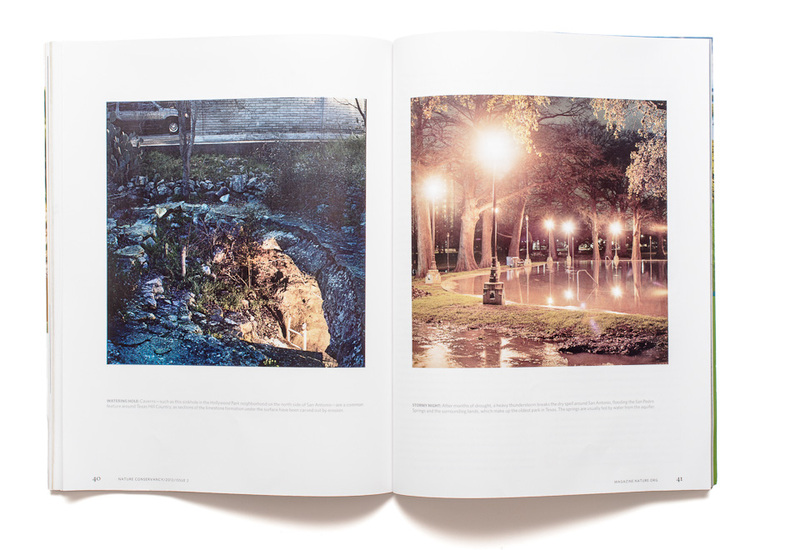 How did you plan to photograph the fires and remain safe? Safety is always the top priority and continuing to learn about fire and how to operate in that environment as a firefighter has been very helpful. During the Lake Christine fire, I was a public observer and stayed well out of the way of the emergency response as they were occupied with saving lives and protecting property. During the fires I’ve worked, I’m first and foremost working as a firefighter and there is a huge focus on safety as it can be a high-risk environment. There are times when we’re observing the fire and on standby and those are times when it’s possible to capture a moment. Visiting the burn scar after the Ryan fire, I needed to be very aware of trees that were compromised by the fire and could fall with the slightest wind. Johnny Tulare mops up embers on the Keystone Fire in southern Wyoming on July 4th, 2017. How did you originally become interested in fire and its function in the environment? I’ve always been interested in fire and my undergraduate studies in landscape architecture gave me the skills to look critically at the complex relationship between nature and culture. Wanting to further explore wildfire, I eventually decided to just get my training and work on the ground. I enjoy exploring an environment through study and art but there is also something irreplaceable about interacting with it in a fundamental, physical way—and wildland firefighting is extremely physical work. A pine tree torches during the Britannia Mountain fire on August 31st, 2018. A burn scar from the Ryan fire photographed among the winter snow. Can you give me a recap of the 2018 fire season? Fires occur through the West every year in large numbers—though this year there was a higher number of larger, more destructive wildfires. The three primary factors contributing to this were increased forest density and fuels from a century of aggressive fire suppression, more people living in fire prone environments, and climate change. The natural process for the ignition of wildfires is lightning, though it’s worth noting that many wildfires are started by human activity, both unintentional and intentional. These factors are very influential in California which has been in a historic drought for the past 5 years. A billowing cloud develops on Basalt Mountain on July 4th, 2018 during the Lake Christine fire. The Lake Christine fire erupted just a few miles from my home and burned to the edge of two nearby towns. I wasn’t called out on this fire, but watched it closely and it was fascinating to see the management response to the fire as well as the chaos and fear that comes with having an event like this occur in your community. Fortunately, the fire crews did an amazing job and there was minimal property loss and no fatalities. 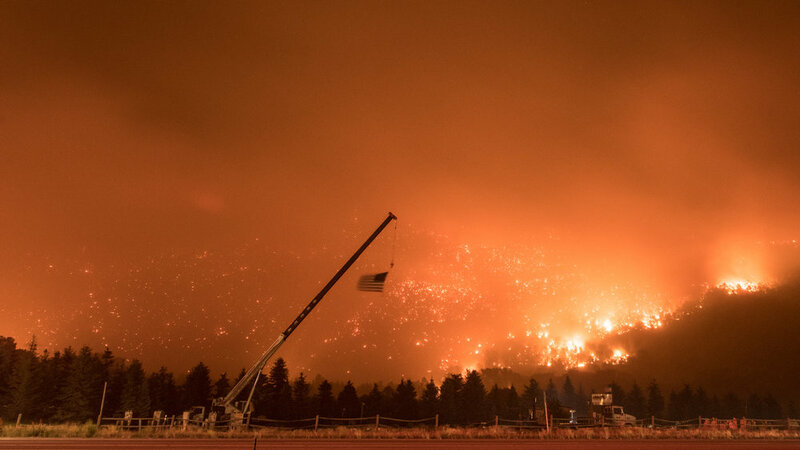 An American flag blows in the wind on July 4th, 2018 during the Lake Christine fire. How do you see this work developing? Wildfire is a complex and fascinating subject and I’ve enjoyed learning about it on the ground. It’s an inherent and impactful part of the ecology in most Western lands and is also a growing issue so there are a ton of potential stories. Understanding the wildfire world creates opportunity to authentically share that wild world. Sunlight angles across the forest floor of a burn scar from the Ryan fire near the border of Colorado and Wyoming. 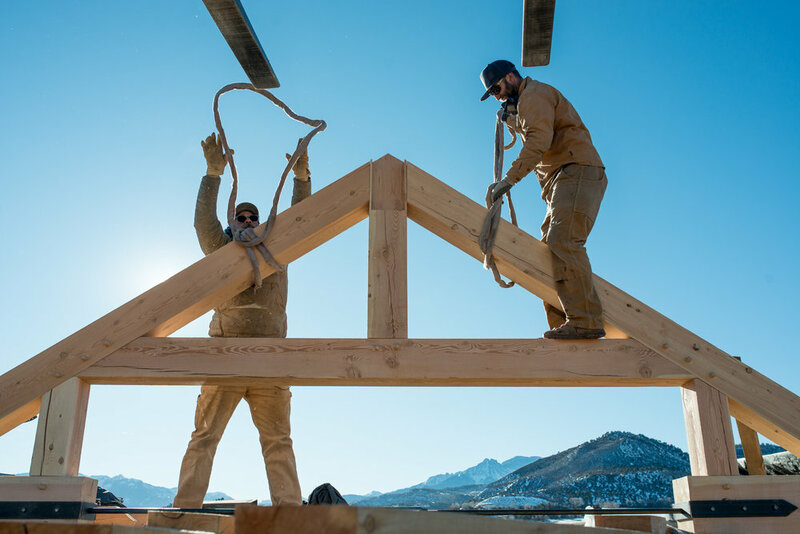 I documented the crew at Handcrafted Log & Timber near Ridgway, Colorado. The sawmill is just outside of town on a beautiful pass that looks south at the San Juan mountains. We shot several different times at the saw mill and then later out at an install site. The amount of craft these guys put into their work is stunning and it was great to just observe and document them and not art direct as we were looking for authentic moments. I teamed up with Dave Clifford to put together a film honoring the legacy of Henry, Vail’s first avalanche patrol dog who was nearing his retirement. We shot during the first substantial snow storm of the season and turned around the piece a few weeks later. In 2008, Chris "Mongo" Reeder started the Vail Avalanche Dog Program with his golden retriever, Henry. After 11 seasons on Vail Ski Patrol, Henry looks back at his impact as he nears retirement. Special Thanks: Ben Knight/Ben Moon/Skip Armstrong and "Denali"
High Country News recently ran a story about "researchers look(ing) to Southwestern ranchers to learn why we share — and what happens when we don’t" and featured the Malpai Borderlands Group. In 1939, Englishman Tommy Godwin pedaled an outstanding 75,065 miles setting the record for distance cycled in one year. Amazingly, he continued to ride and covered 100,000 miles in May of 1940 - 500 days after he began his quest. England entered World War II in September of 1939 and Tommy's record stayed put. This year, American Kurt Searvogel is closing in on that 75 year old record. German publication Süddeutsche Zeitung sent me to Little Rock, Arkansas to try and keep up with Kurt and get some images for a story on him. Kurt is on the bike 12 hours a day and has little time for anything else. This was not a shoot that had time for setups and direction. Kurt started riding in mid-January of 2015 and is now less than a month away from the record. His journey can be followed at Tarzan Rides or daily updates via the Facebook page Tarzan Rides the HAM'R. Kurt Searvogel on his bike cruising the country roads east of Little Rock, AR. Malpai is a Spanish word that means "Badlands" and has been adopted by a region that covers southeastern Arizona and southwestern New Mexico. The Malpai Borderlands Group is a consortium of ranchers, conservationists, and state and federal agencies that have come together to best manage the environment and ranching industry of the region. The Nature Conservancy previously purchased and donated a parcel of land in the region that became the San Bernadino Wildlife Refuge. In the early 1990s, a spectacular piece of land, The Gray Ranch, became available for purchase and The Nature Conservancy rallied the funds to purchase it. It is a phenomenal nearly 350,000 acre ranch that encompasses the entire Animas Mountain Range. Unsure of what to do with it, The Nature Conservancy ended up selling it to a local rancher with ties to the Anheuser-Busch family. 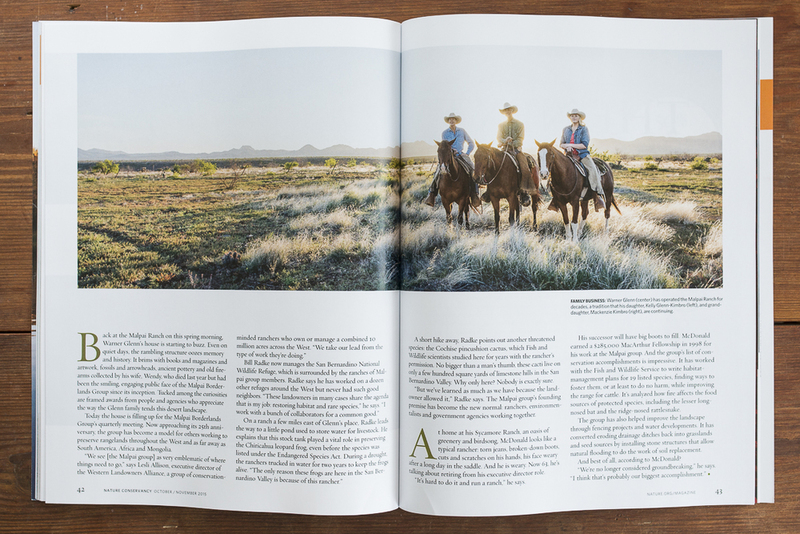 Now called the Diamond A Ranch, the transaction was a surprise to many and became the first step of the Nature Conservancy and ranchers working together for conservation. The Nature Conservancy has stayed active in the region and assists the Malpai Borderlands Group in management. I spent several weeks in the Malpai, staying with legendary rancher Warner Glenn at his ranch just a few miles from the border. It is a remarkable landscape, storied with the legends of Geronimo, Pancho Villa, and others. Drug trafficking and human smuggling is active in the region now and the US Border Patrol maintains a large presence in the region. 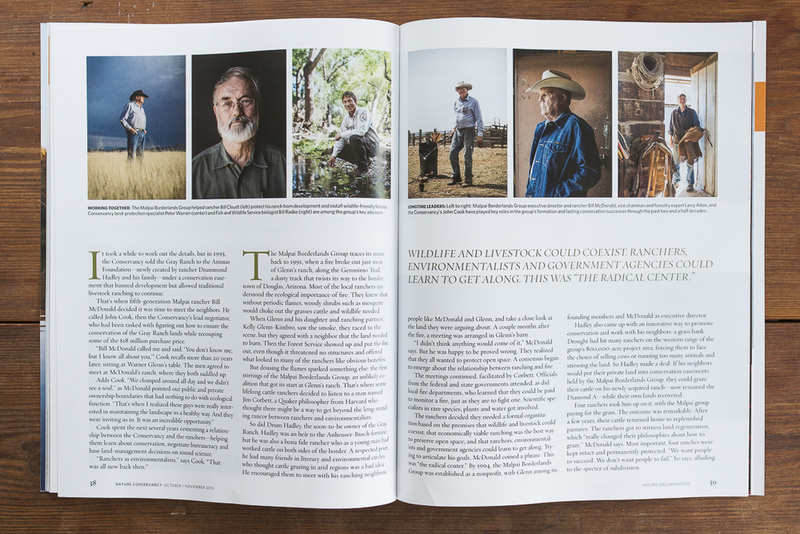 Our story focused on the unique politics and management of the Malpai and celebrated The Nature Conservancy's history here. Once again, TNC's photo editor and design team did a phenomenal job of working with the piece from start to finish to create a compelling layout. The story can be read online here. John Logsdon pedaling through the open vistas of the Patagonia Steppe, one of the world's largest deserts. Years ago, I joined Mike and John Logsdon and Nateon Ajello on Spinning Southward - an epic trans-continental bicycle tour. The Logsdon brothers were dedicating a journey from Prudhoe Bay, Alaska to Ushuaia, Argentina to the memory of their mother, who passed away from brain cancer when they were young. They raised $75,000 dollars for the National Brain Tumor Society. Sharing a similar loss of his mother, Nateon Ajello, joined and developed a full length documentary. This was in the days before social media and internet access was just starting to reach into some place. We would take a break at an internet cafe every so often spending an hour to check and reply to a few emails. Nateon was bold enough to attempt to shoot video and edit on the road - an incredibly daunting task when your office is a bicycle on less than forgiving roads. Check out his road of technological trials in his “Los Tecnicos” episode. It was also in my early days in the professional world and it is somewhat ironic (but enjoyable) to give a gear write-up as a poor emerging photographer on a shoestring budget. Take a look at the gear write-up for B&H Photo/Video. In the spring of this year, I teamed up with Dave Clifford in Telluride to shoot a collection of winter 2014/2015 images for Marmot. It was a wild ride with us all packed in a stellar but small modern house in Telluride. Despite a big wind event just preceding our arrival, we were able to get out for a few days of heli-skiing with Telluride Hellitrax. The terrain in the San Juans is always stunning and our group did a great job with the conditions. 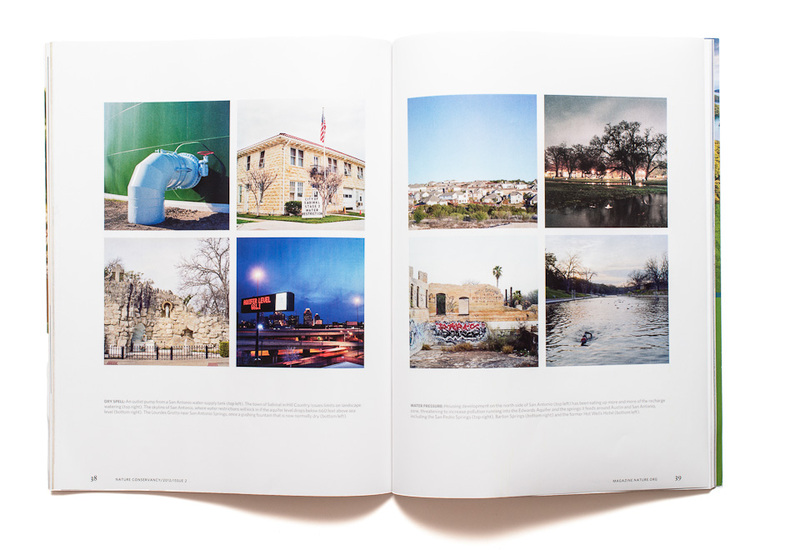 The images are being used across the board: in-store, online, social media, national print ads, and more. The above image is a grab from Instagram but is also being used in national ads for their brand and to encourage their users to let them know "What Gives You Life?" 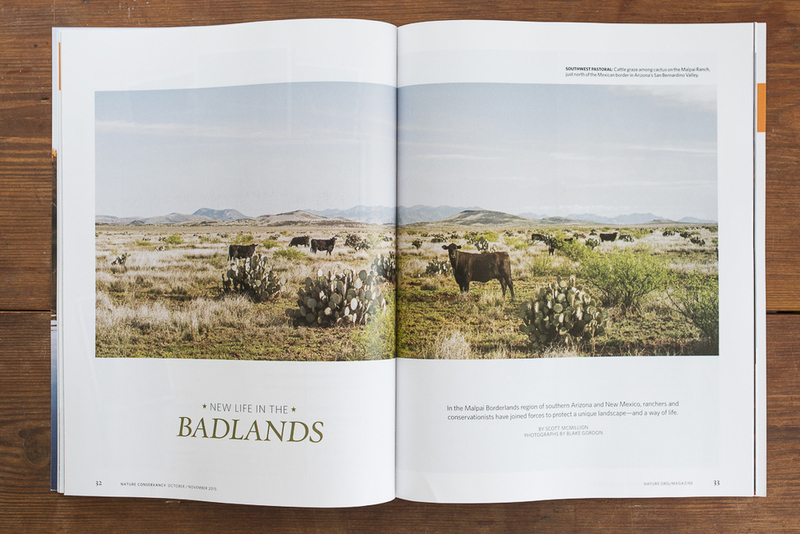 I was sent down to the Guadalupe Mountains in the far corner of Texas to shoot a piece on "Wild Texas" for Texas Monthly recently. Interestingly enough, Texas born LBJ signed the Wilderness Act of 1964 into law on September 3, 1964 - just over 50 years ago. The assignment was a two day overnight hike into a seldom visited part of the state. I saw no one else during the entire two day hike and buzzards watched me from above as I approached camp in the afternoon. The monsoon rains of late summer turned the desert to an amazing green. Fresh off of a trip as a sherpa for a friend deep into the Great Sand Dunes National Park, I wasn't overly concerned about the strenuous nature of the hike. But the 14 mile roundtrip hike up onto the ridge with camera gear and all the water I would need for two days (there is no source of water along the hike) was not something to underestimate. I took my medium format Hasselblad system into the field and shot several rolls - primarily around dusk and dawn. The image chosen was a sunrise shot looking into McKittrick Canyon from the ridge line. I was pleasantly surprised to see the fantastic Jody Horton's work on the cover of the issue. 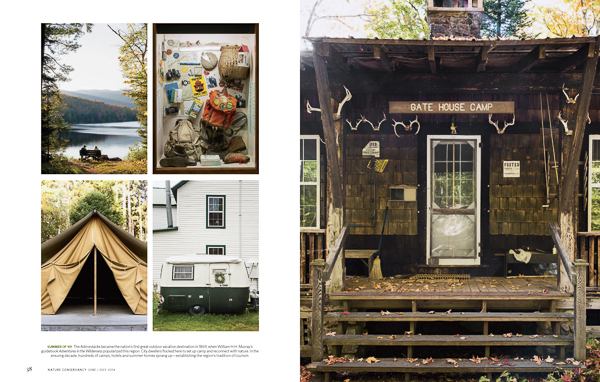 A recent feature for the The Nature Conservancy is out now on an historic land transfer to Adirondack State Park. The Nature Conservancy acquired some stunning ex-timber lands in the Adirondacks and recently transferred them to the State of New York. Costa del Mar and Texas Monthly co-present a screening of Jungle Fish this Wednesday in Austin, TX at Pelon's & 508 Bar. The DVD is now on sale through Costa's website for $15. Get it here.